Eric Johnsen likes a challenge: drag racing, owning a restaurant, getting non-vegans to try vegan food. "I was vegetarian for about a decade coming out of culinary school," says Johnsen, chef and co-owner of Saranac Public House, "and I saw that what many places offered was an afterthought: just remove the meat, and it will be vegetarian." At Saranac Public House, Johnsen's recipes often have a vegan base, which he modifies to make them vegetarian or even meat-inclusive. But not just any meat. The beef and pork he uses is typically Washington-raised; his seafood is wild-caught or from sustainable fisheries. Produce? Local when possible, organic if available. The chickpeas, lentils, peas and beans — like the black beans featured in their veggie burger — hail from the Palouse or Columbia Basin, most certified as GMO-free. Local bakeries are featured for whatever isn't made in-house, as are local beer and wine. He even uses green-certified and/or biodegradable to-go packaging and cleaning supplies. Located next to the Community Building, the vision for Saranac Public House "was very specific and completely dictated by the space we found and the surrounding neighborhood," says Johnsen, who co-owns the business with Brandyn Blanchat. Johnsen met Blanchat at the Onion Bar & Grill, where he spent a big chunk of his 31 years in the industry. Like many in the business, his resume connects dots across the northwest: Ernie's Italian Restaurant, Chapter Eleven and The Onion, all in Spokane. Then it was off to Wenatchee to work for Visconti's Italian Restaurant (he also opened the original Visconti's in Leavenworth). 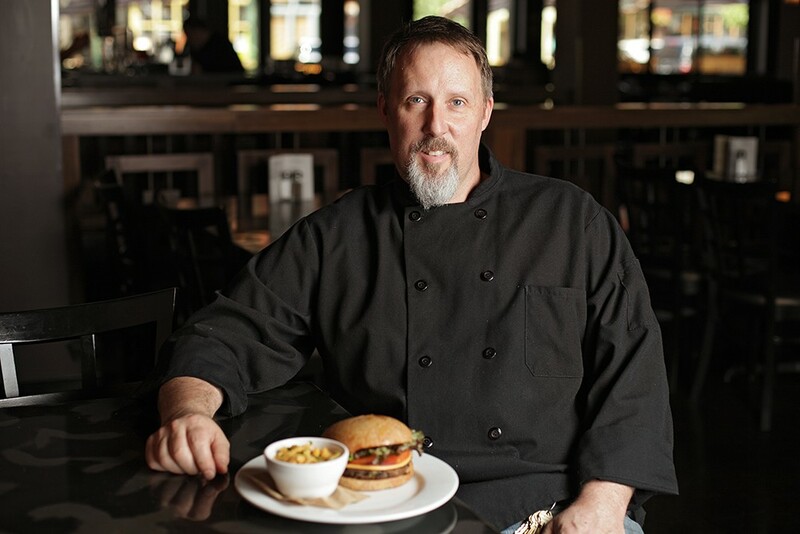 Upon returning to Spokane to work at The Onion, Johnsen realized cooking was "it" and enrolled in Western Culinary Institute (now called Le Cordon Bleu College of Culinary Arts) in Portland, eventually working for RiverPlace Hotel. Johnsen came back to Spokane, started a family, and began a long run with The Onion, managing various locations and gaining valuable experience he'd one day parlay into his own restaurant. Back in the kitchen since 2011 when Saranac Public House opened, Johnsen continues to hone his skills, including responding to an increasingly sensitive dining public. "Due to the ongoing prevalence of food allergies," says Johnsen, "we have ingredient/allergy information for all the eight major food allergens, plus corn, canola and nitrates available for all our current regular menu items, sausages, soups, kids' menu and brunch."